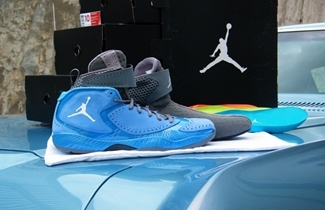 Jordan Brand’s signature model this year, the Air Jordan 2012, has been creating buzz since it was unveiled and finally the first colorway is set to hit the market soon! 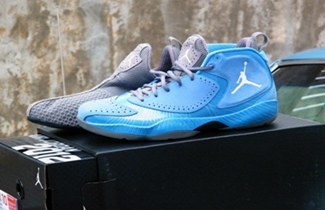 The Air Jordan 2012 will be released this Wednesday, February 8, in University Blue colorway, which is officially known as the University Blue/White-Dark Steel Grey colorway of the shoe. The famous North Carolina team color dominates the entire shoe with the white touches applied on the branding while the dark grey steel color appears on the booties and outsole. Expect this one to be a huge hit so make sure to grab one immediately!